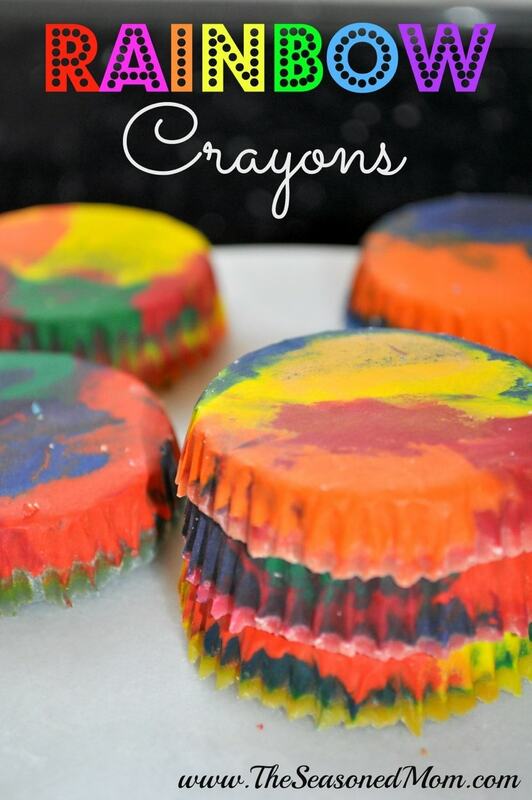 Grab some markers and paper for a simple, fun, and delicious St. Patrick’s Day Activity for Kids! 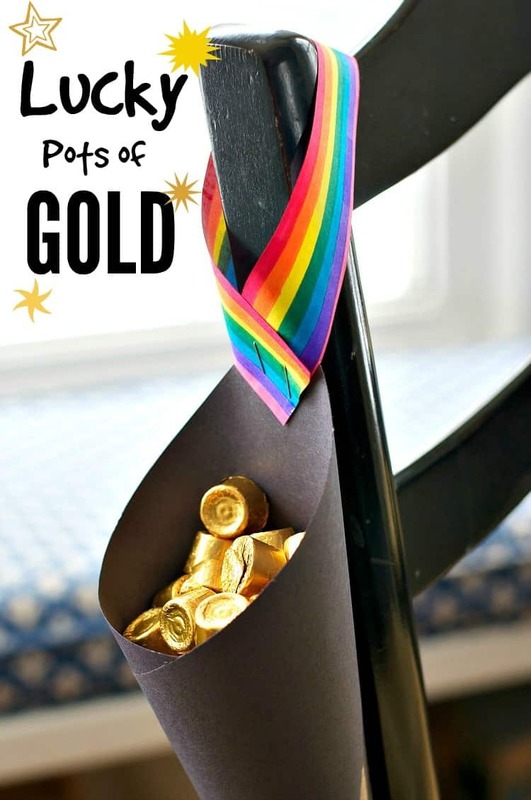 These Lucky Pots of Gold are about as easy as it gets…and there’s a sweet reward at the end! So earlier this week I shared a green-ish healthy recipe that’s perfectly appropriate for the upcoming holiday (and for any other day, for that matter). But I also love to come up with fun little ways to entertain the kids, make some memories, and establish new traditions. 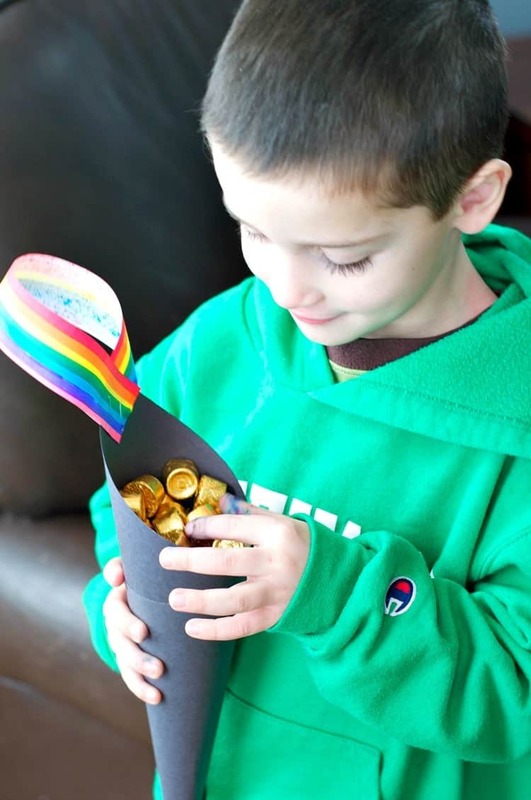 What could be better than a pot at the end of a rainbow — especially one that is magically filled by little leprechauns overnight?! 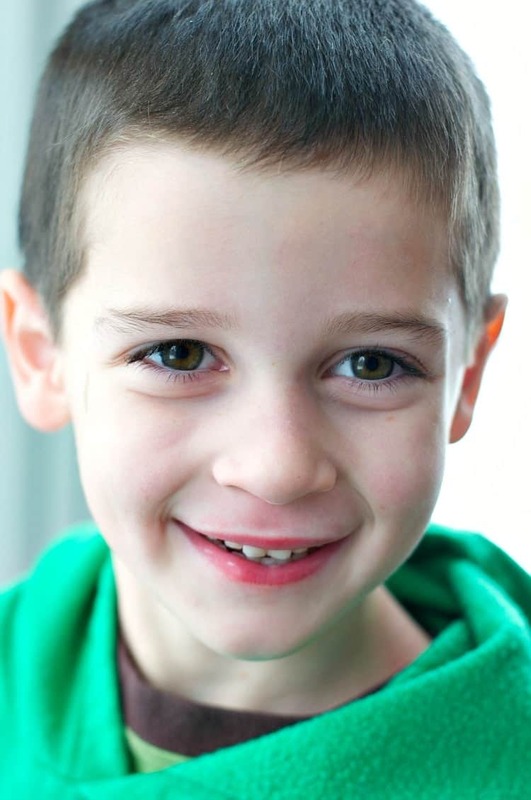 With one look at the photos, it’s probably pretty obvious what you need to do! I started by rolling a piece of black construction paper into the shape of a cone, and then I secured it with some tape. Two seconds, right? 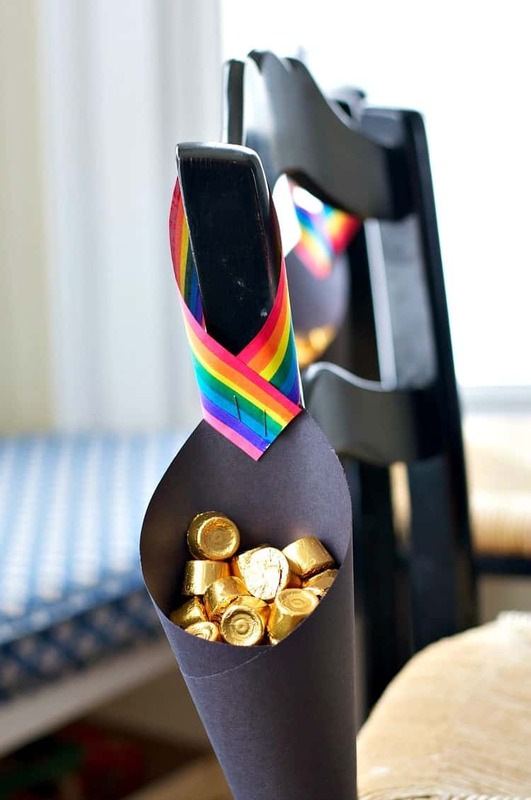 Then we needed a way to hang our pots from the boys’ chairs, and a rainbow was the only solution! I got the kids involved with this step and had them pull out their broad-tipped markers to make rainbow stripes on a strip of white paper. Again — easy peasy. I attached the rainbows to the pots with a couple of staples and we were DONE! 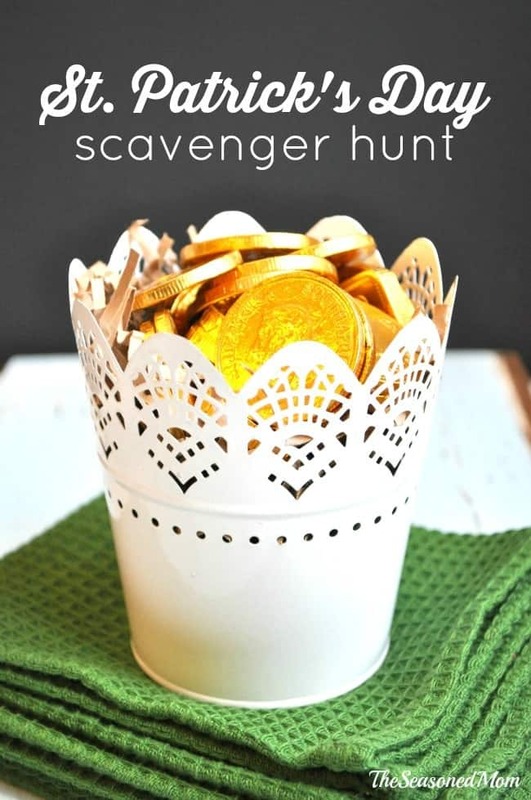 A 10-minute kids’ craft that’s perfect for St. Patrick’s Day! 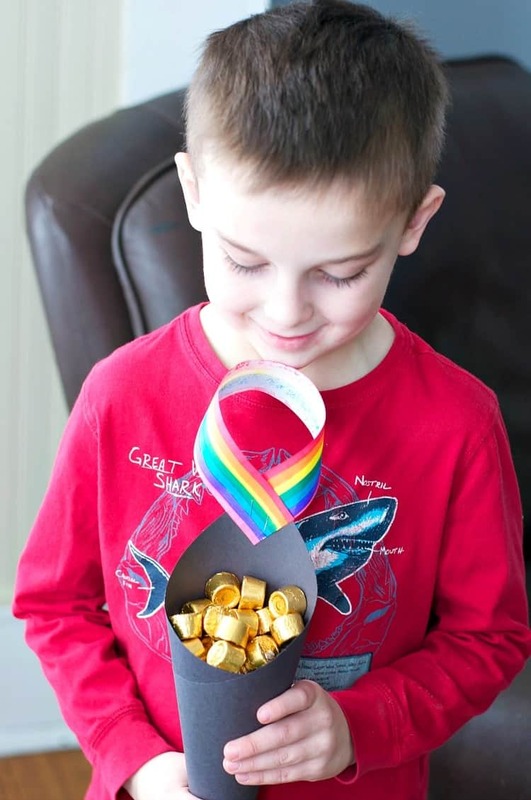 Hang the pot on your child’s chair or doorknob, and then wait for the leprechauns to “magically” fill it with gold overnight (or in our case, Rolo chocolates)! I assure you — instant smiles the next day!!! I am SOOO glad to see that you allow your children to have candy! 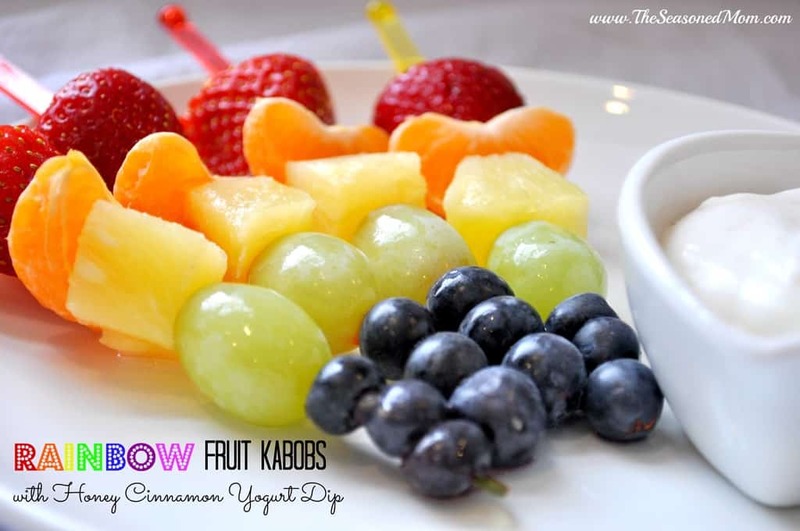 I’ve met so many mother’s that think “healthy” means no sugar/no candy. In our house, it means moderation and balance. Thank you!